Pre-Art Clarifying and Repairing Treatment $25 – Redken Pre Art Clarifying Treatment is for all hair types. Pre Art Treatment is an intense clarifying treatment that effectively removes copper, iron minerals and styling product residue which can interfere with chemical services. It helps equalize the surface properties of the hair and fruit acids help strengthen the cuticle and add shine. Perfect for swimmers or those with hard water in their homes! Single Process Color $65-68 – Permanent, semi-permanent or demi-permanent color applied to the hair to create a new base color, cover grey or enhance ones natural color. Olaplex $15-$25 – A treatment designed to prevent damage during a color service, repair damaged hair, strengthen existing hair and add incredible shine. Dimensional Highlight $65 – $75 – Typically 6-10 foils that are strategically placed in the hair to enhance one’s color by adding light or dark tones that are great for a subtle look. Partial Highlight $86 – $143 – This service adds depth and definition to part of the client’s head, without highlighting the entire head. Partial highlights are great for enhancing your natural hair color with lightening or darkening. Partial highlights are versatile as they can make big impact or a subtle enhancement. Full Highlight $103 – $160 – This service is when the entire head is highlighted and often used for heavy highlighted blondes. Balayage $105 – $140 – A process of hand painting color onto the hair to create a natural-looking, sun kissed look. Brazilian Blowout Treatment $335 – This treatment is used to make wavy, unruly hair less frizzy, smoother and shinier. This treatment is rinsed out in the salon, hair can be shampooed the next day. Results last up to 3 months. Keratin Complex Treatment $290 – This treatment is used to make wavy, unruly hair less frizzy, smoother and shinier. Clients must wait 72 hours to wash their hair after this service is performed. Results last up to 3 months. Express Kertain Complex Treatment $125 – Similar results as Keratin Complex Treatment but lasts 4-6 weeks. Hair may be washed 8 hours after the treatment is performed. Permanent Wave $90 – A chemical treatment that gives hair long lasting waves or curls. This is a great treatment for adding body and volume to your blow out as well. Rusk Keratin AntiCurl System $97 – A chemical treatment used to straighten naturally curly hair. With 3 versatile styling results that are safe for all types of hair and color treated hair; the AntiCurl system also builds shine and strength into the hair. Unlike Japanese straightening and relaxers, the Rusk Anticurl Sytem will leave just enough curl in your hair to allow body and bend to your blow out. The shine is amazing! To maintain this consistent appearance it should be performed on the regrowth about every 8-10 weeks. 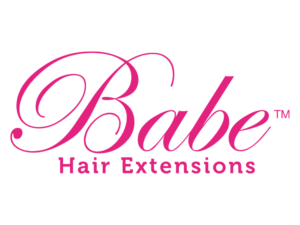 Priced upon consultation with one of our Babe certified stylist.